Two times champions of the Indian Premier League and third position holder on the table of the previous season, Chennai Super Kings, will take over Delhi Daredevils in their opening game of the new chapter. CSK appeared in 14 matches in IPL 2014, won nine, surrendered five and gathered 18 points at a net run rate of +0.385. They were overpowered by Kings XI Punjab in Qualifier 2 with a difference of 24 runs on May 30, 2014, at Wankhede Stadium, Mumbai. Delhi Daredevils performed badly in the seventh edition, were placed at the bottom with two mere victories and 12 losses. They will try to make a new beginning while forgetting their poor display and re-emerge their strength against the mighty CSK who look stronger than ever. Brendon McCullum was one of the most attacking batsmen of the ICC Cricket World Cup 2015, as MS Dhoni, Faf du Plessis and Suresh Raina performed equally well. Dwayne Smith, Michael Hussey, Ankush Bains and Mithun Manhas will be a part of their strong batting line-up while Dwayne Bravo, Ravindra Jadeja and Irfan Patahn are seasoned all-rounders. The deadly bowling attack comprises Mohit Sharma, Kyle Abbott, Ravichandran Ashwin, Samuel Badree, Matt Henry, Ronit More, Ashish Nehra, Ishwar Pandey and Pawan Negi. Yuvraj Singh will try to make an impression for Delhi Daredevils in the coming tournament and rest of their batting will revolve around Jean-Paul Duminy, Mayank Agarwal, Srikar Bharat, Quinton de Kock, Chidhambaram Gautam, Travis Head, Manoj Tiwary, Kedar Jadhav Marcus Stoinis and Saurabh Tiwary. Angelo Mathews is a class all-rounder and their competent bowling unit will be guarded by Mohammed Shami, Zaheer Khan, Amit Mishra, Albie Morkel, Shahbaz Nadeem, Gurinder Sandhu, Jaydev Unadkat, Nathan Coulter-Nile and Imran Tahir. Thursday, April 9, 2015 @ 14:30 GMT, 20:00 local at MA Chidambaram Stadium, Chepauk, Chennai. A bright and sunny day with the temperatures around 27-34ᵒC. Both skippers preferred to field first most of the times after winning the toss in the IPL 2014. The surface will prove equally good for the batsmen and bowlers. 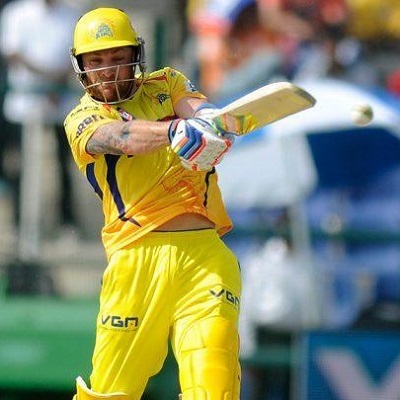 Chennai Super Kings – (From) MS Dhoni (C), Eklavya Dwivedi, Kyle Abbott, Baba Aparajith, Ravichandran Ashwin, Samuel Badree, Ankush Bains, Dwayne Bravo, Faf du Plessis, Matt Henry, Michael Hussey, Ravindra Jadeja, Brendon McCullum, Mithun Manhas, Ronit More, Pawan Negi, Ashish Nehra, Ishawar Pandey, Irfan Pathan, Pratyush Singh, Suresh Raina, Mohit Sharma, Rahul Sharma, Dwayne Smith, Andrew Tye. CSK will enter the tournament as a favourite to clinch the game. It should be walk in the park for CSK unless they are caught napping. Odds for CSK is low and it's very unlikely that it's going to go up. So it's better to take whatever odds you can get and trade with that. CSK is batting powerhouse, most of top batsmen in CSK are in-form and it would be challenging for DD weaker bowling line to content them. It's CSK win provided no collapse. Munna bhai..... Will toss have any impact, like if DD bats first and CSK have to chase.... ? Doesn't matter, CSK is winning either batting first or chasing. The only risk is if they are caught having hangover and don't wake up. It has happened in the past and it might happen this year as well. CSK are sleeping giant as I always used to say and this is true this year as well. They have got enough batting power and ability to restrict opponents with their quality spin from Ashwin-Jadeja duo. DD don't have enough quality bowling to restrict CSK. Will you please let me know the top 3 batsmen you will pick in CSK? I've to pick 4: Smith, Faf, Raina & McCullum. It's not clear who will open the batting. 15/8 for dd to start with. I dont think it will too bad a strategy to put some money on dd at the start... dd might surprise many people this time..n wht better team than csk to start with. Yuvi has a lot to prove . especially in this very first game..
Guyzz, can anyone check a stat for me?? What happened in the 1st match of CSK in every ipl. I.e. They lost or won..
First I ignored your comment then I gave a thought and decided to dig my records to find out if we have a pattern here and to my surprise it's not good for CSK. They have won their opening match only in 2008 & 2011 which gives us 5 losses out of 7 opening matches. Which still doesn't give anything or take away anything. So balance is stored no damage done. CSK might be rusty in the beginning may be because of overconfidence like a favourite jockey who knows that he will reach the finish line first despite having a poor start and trailing by 6 lengths. On the other hands weaker teams go in the tournament with a lot of enthusiasm and more often than not pull a stunners early. So CSK has lost 5 opening matches in 7 IPLs now take your pick and good luck with that. tumhari kyon hum sab juariyon ki kismat gadhe ke L se likhi gayi hai. Jua kheloge to kismat lita lita ke maregi. Jua chor ke trading karna suru kar do to kismat bhi pulat ke saath dena suru kardegi. email se bible bhez di hai, subah nahane aur puja karne ke baad padh lena. local bookies ka saath chor do nahi to sab lut lenge woh tumhara pant sarkane tak ki bhi naubat aa sakti hai. online khelo bindaas, bhav bhi milega aur maal bhi. email se guide bhez diya hai. bindaas khelo online sabn paisa wapas ayega koi problem nahi hogi. i was also thinking about the same pattern..
they r often called slow starters..
can this have an effect om match result? To start with, one can lay chennai at 0.44. Wht say guys.? thank u bettingadda ... i kept an eye on this site for every updation and won 12k... thank u sakuni mama (admin) and munna bhai. M bhai i lost 30k on mi. i've decided to stop gambling, guide me how to trade. Open account on following by clicking on the links. After opening account verify them. Rest of details I've sent to you by email. tq bhai i'm opening account now. I've one question which currency to select on bf, I don't see INR. bhai hume bhi bhez do bible email se. heavy favourite team ka odd upar aane me mushkil hota hai. upar tabhi ayega jab DD pahle batting kare aur rr 9 se upar le ke 10 over tak khele. ya fir last me 14-15 rr se socre kare. thora bahut bhav upar jayege lekin jaise hi wicket gira dd ka to bhav fir neeche aa jayega. ya fir 2-3 overs me 30-40 run banaye dd. CSK pahle batting karti hai to 2-3 jaldi wicket girane par hi bhav upar ayega. I m big fan of ur strategy since I was watching u last three months. I also believe that the gambling is purely negative but trading is pure positive. But out of 100 match 80 matches r win by favourite team. So I asked u one simple question sir how can we trade in favourite teams in trading and how much our winning points we have to think in our mind. guide bhez diya hai, pahle woh padho fir wapas aawo idhar. It's account opening guide and not trading guide. Anyways I've sent it to you. Csk py sari dunia lga rhi ha Kya yh match fix ho sakta ha Muna Bhai ? Bihari babu kya lagta hai is match Mai plz apna pridiction b de ..
what is this nonsenses. you people constantly saying is the match is fixed or not? Matches have twists & turns. That's why we are called gambler. Sometimes it seems match changed unbelievably. Munna Bhai Chennai pe to kuch bhav milega nahi jab tak match phasega nahi.....to kya wait kiya jaaye?? yeah odds 1.2-1.25 aate hain to lay kiya jaaye?? Ayega thora bahut upar, DD ki batting kuch to jaan hai. Yuvi jam gaya to csk ki waat lag jayegi. bhara baitha hai woh bhi national team me wapasi ke liye. 40 par kuch nahi hoga. 5o se upar aaye to trading suru hogi. JAI HO Munnab Bhai !!! Jai HO .. !! Hum ICCWC2015 mein Gambler thha !! 2 peti haara .. aaj mein Trader hoo..
bhai -- aaj ka strategy batiye plz.. final wala .. CSK vd DD - pehla sauda kya hona chahiye if I want to make only 10 k in this game alone. Yajman hum bhi csk ko back kar rahe hain. dd ka tukka hai laga gaya to lag gaya nahi to wahi purani kahani table me sabse neeche wali position ke liye mara maari karenge SRH se. Vrihaspati baba ka dhyan karo aur danadan laga do peti pe peti csk par bhav dhang se le kar. Trading ki jarurt nahi hai. online bookie site par account kholane ki guide hai. dd selected bowl. Munna bhai strtgy wahi he back csk? Hi friends, just registered here. I have been following this site from the start of cricket world cup and the best thing about this is that its free plus we get to know the general opinion and the expert opinion. Special thanks to munna bhai, circuit bhai, pandit , bihari and many many more for ur opinions. However i must say that when the whole world blindly said that csk would be the winner it was just here when a research by munna bhai advised to use caution as their first match stats were against csk, and so i did used his advice and played with caution using the tarazu stragedy and it has been real great and i am still in the learning phase of this stragedy. Munna bhai thanks to u that i was able to cover a huge loss that i suffered earlier and i truly believe in ur saying that gamblers loose and traders always win in the long term. However i am still using a local bookie so please do send me a copy of bible so that i can create an account. Also i have an account with icici bank and please do let me know how to get account verified with skrill or netteller. Normally to look at the odds i use bet365 However please do lemme know if there is something better. Thanks in advance munna bhai and cheers to all. Bloody hellish match. I had to open and close my trading book 10 times as I couldn't resist the "Jhula". Bumper jackpot after long time. i mean if a team is placed fav at lets suppose 50-52.. is it almost certain ( i know that it wont happen always, but most of the times) that at some point the other ipl team will become fav in that game??? or the rate will go to close to 90-95 atleast in favour of first team?? ?